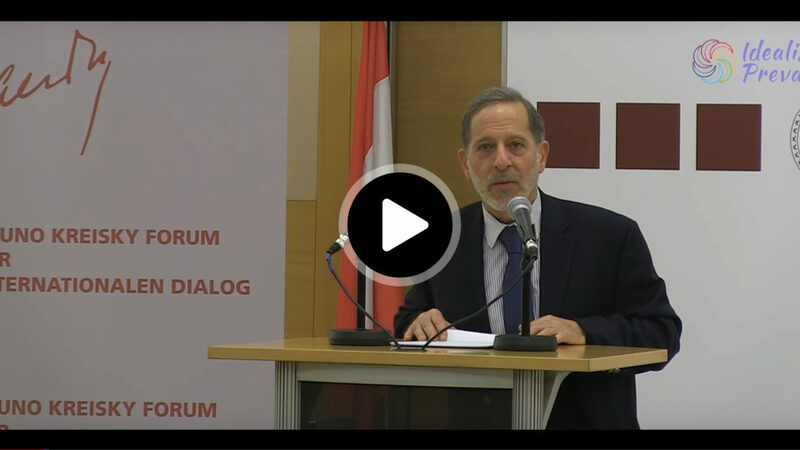 The topic of the recognition of Jerusalem as the capital of Israel, massively promoted by US President Donald Trump, prompted the Diplomatic Academy Vienna together with the Bruno Kreisky Forum to invite the American-Palestinian historian, Dr. Rashid Khalidi, to give a lecture. Although his predecessors had repeatedly said that the American administration might support this, no president was as concrete in the implementation as Trump. The basis of the conflict in the Middle East, the development of Zionism, lay in Europe – in response to the prevailing anti-Semitism. This is precisely why Europe should help to solve the problem. For Khalidi, the foreign policy strategy of the current administration is the most incoherent since he – starting with Dwight D. Eisenhower – has been following American presidents and their governments as an observer. Khalidi distinguishes two groups that try to influence current foreign policy: on the one hand, the conservative realists (including, among others, various military personnel and the recently dismissed foreign minister, Tillerson), and on the other, neo-conservative ideologists such as Trump’s daughter, his son-in-law and not least Trump himself. The latter supports the xenophobic and chauvinist views of voters who would have voted for Trump again in 2016, according to Khalidi, whose closeness to the Democrats and especially to Barack Obama is evident. None from this group has international experience, few have ever been elected at the political level in their lives or have any idea of a real application of the American constitution. Trump’s short-term strategy of satisfying his electorate with xenophobic rhetoric will ensure a Republican victory in the mid-term elections in November 2018 and possibly his re-election in 2020. However, it has a devastating, because chaotic, effect on foreign policy. 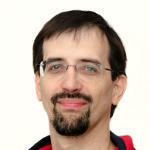 The realists, however, who are in a minority, attempt to keep an eye on the long-term effect. Trump has clearly sided (also personally) with Israel, as well as with Saudi Arabia and the United Arab Emirates in the conflict with Qatar or also with Iran and Yemen. Although some of his predecessors (Truman, Reagan) had adopted the same pro-Israeli position, at least they would always have listened to their advisers, most of whom pointed to the long-term effects. Trump does not do this. He, in turn, appointed two personal friends – lawyers – who had previously worked in business law as ambassadors in Israel and as representatives for the Israeli-Palestinian conflict. After one year in office, the administration has achieved nothing in this conflict except to massively strengthen Israel’s position. 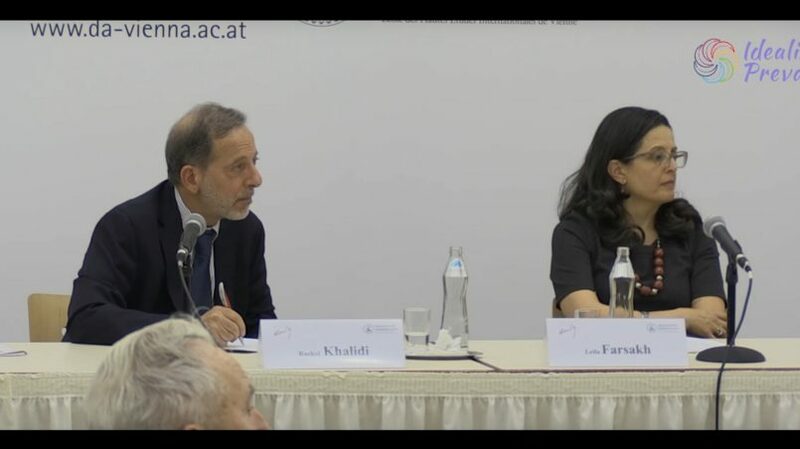 Khalidi considers Trump’s announcement that he wants to negotiate a deal a distraction:”The proposals so far are so extremely pro-Israeli that the Palestinians could under no circumstances agree. Perhaps it is only pretending to resolve the conflict while at the same time supporting Netanyahu’s policies to create facts and thus secure control over the entire territory of Israel and Palestine and the expansion of settlement construction. Trump relied on the outside-in strategy, often used in America, in an attempt to convince Arab clientele states (e.g. Saudi Arabia) to normalize their relations with Israel and to accept their claims, while at the same time putting pressure on the Palestinians to achieve further concessions vis-à-vis Israel. Netanyahu seems to have found a good way to address and use the radical views of both Trump and the Republican party towards Iran. His tactic towards American administrations is, as before, to ignore the Palestinian problem and to present Iran as the greatest threat to the Middle East – as happened recently at the Munich Security Conference with the supposedly Iranian drone. Since 1967 Israel has always assured itself of the approval of the USA before taking action against its neighbours. This time also for its planned aggressions against Syria (in order to weaken the strong presence of Hezbollah and Iranian troops together with Saudi Arabia), possibly also against Lebanon. The central pivot of Donald Trump’s strategy to bring his allies into position against Iran was the explanation for recognizing Jerusalem as Israel’s capital. Like all other foreign policy actions of this administration, this is also dedicated to its electorate at home and has nothing to do with the foreign policy interests of the USA. 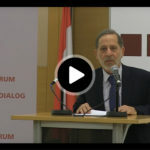 The current administration is clearly banging the drum for Israel and has thus become untrustworthy as a mediator in this conflict, according to Khalidi. In almost all controversial points, the USA accepts Israel’s view. In the course of the rather gloomy situation in the Middle East, Khalidi asks what the Palestinians could do to improve the current situation: first of all, as an objectively weaker party, they must finally learn to work together and (unlike in the past) develop a successful common strategy. This must come – in view of the inability and unwillingness of the two political camps within the Palestinians – from civil society. The aim must also be to influence the discourse within the USA, as Israel has been doing for decades – and initial changes of opinion can already be observed in the local population, according to surveys. According to Khalidi, there is currently no peace process, but rather the desire to degrade Palestine to a vassal of Israel. This is exactly what the negotiations are designed to achieve. From the Palestinians’ point of view, what is needed now is a joint effort by all, a fundamental change in Palestinian policy and objectives and the search for allies within and outside the Arab world, to whom it must be made clear that the current path has to lead to serious conflicts – and not to peace.